A real estate website builder helps realtors create an online presence to showcase properties they’re selling and to promote their brand to potential buyers. We reviewed 13 real estate website builders and narrowed it to the top six based on price, features, ease of use, lead generation, and who it is best for. 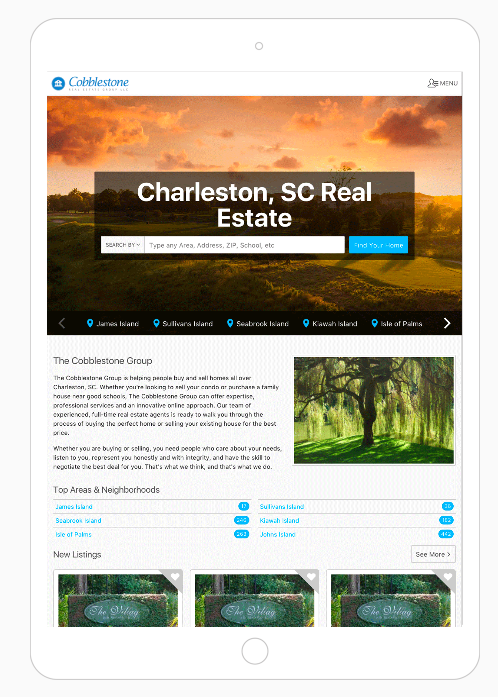 Placester (Best Overall) Realtors seeking an affordable website with basic lead generation and CRM. Real Geeks Agents building a website with lead generation using Google AdWords and Facebook ads. Zillow Premier Realtors wanting a free website builder with lead generation using Trulia or Zillow. Chime Agents seeking a mid-priced, one-stop website builder with robust CRM and lead generation. BoomTown Brokers building a website to capture leads for several agents or larger teams. The best real estate website builder helps agents increase brand exposure and increase sales by easily creating an online space where buyers can find information about properties and contact the realtor. A real estate agent website builder should be affordable with attractive features and easy lead generation without heavy coding or painful implementation times. Price – Getting the most for every dollar means weighing the cost of services, understanding the price breaks, and knowing about any contracts. Pricing is a primary factor because creating an online brand can be an expensive goal and a big part of a real estate marketing budget. Landing Pages – Landing pages help realtors increase lead conversion with images, verbiage, and lead magnets aimed at a specific audience. IDX Connections – An IDX website is vital because realtors need a connection to the MLS to easily share houses for sale. A website without an IDX connection will waste traffic and lower the conversion rate. CRM – A customer relationship manager helps you identify the stages of leads in the pipeline. Nurturing contacts through the pipeline helps you keep customers engaged in the buying cycle until purchase and minimizes the number of leads that fall through the cracks. Marketing Automation – The ability to set up automated emails, SMS texts, and auto-responders to engage new and ongoing leads without spending more time is vital. Lead Generation & Advertising – Generating leads and filling the sales funnel are a critical reason for building a real estate website. Lead generation and advertising are the primary ways to fill sales funnels for realtors and brokers. Ease of Use – Spending hours trying to figure out how to build a website means that you are not out making sales. A real estate website builder should be easy to use with drag-and-drop features and click-to-add content. Placester is the best real estate website builder for agents who are on a budget, just starting out in the realty industry, or unsure where to begin to build an online presence. Combining a template-driven IDX website with a CRM and marketing automation tools to nurture leads through sales funnel, Placester is affordable with a free basic starter site for National Association of Realtors (NAR) members. Placester is best overall because it is an affordable real estate website builder starting at $99 with lead generation and built-in CRM. Placester is unique because an IDX site, lead capture forms, and marketing tools add value to the National Association of Realtors discount. The combination of price point and features is right for individual agents and growing teams. With additional broker-centric team and lead management tools in the Broker Pro plan, Placester is appropriate for both realtors and brokers due to their features with special pricing for National Association of Realtor (NAR) members. Placester has a partnership with the National Association of Realtors (NAR) that includes a free basic website and price breaks for paid packages for members. The Agent Pro is $99 per month for individual realtor accounts. The Broker Pro package is $199 per month for extra team tools. Each package requires a yearly contract. One of the biggest selling points for Placester is that it gives realtors exactly what they need to get started or establish their online brand: a free real estate website builder. The best reason to upgrade to a paid plan is the extra features needed after you build a website. While other platform like Zillow offer free websites, they often do so with advertising. Placester gives you a free website without any third-party ads. The step up to Agent Pro plan at $99/month with a $99 setup fee adds the features that most agents expect from a real estate website builder, like a CRM for lead tracking and marketing automation for nurturing leads through the pipeline. Combined with a content library and lead capture magnets, this NAR-discounted plan makes Placester a great value. The Agent Pro from Placester is just right for agents who already have a lead generation system like Wise Agent or BoldLeads. 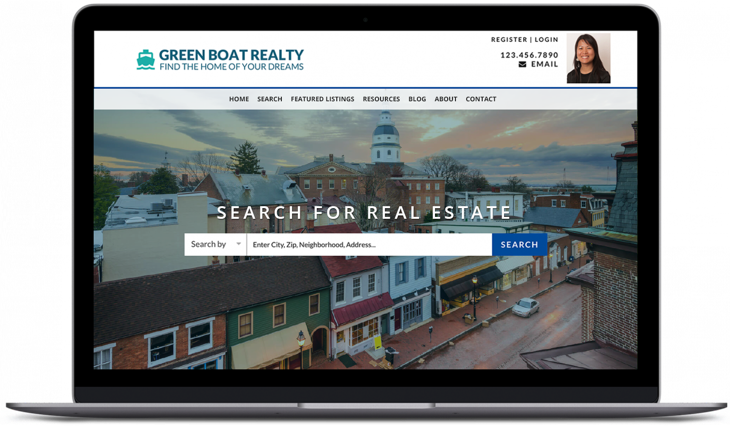 If you are seeking a robust real estate agent website builder with integrated advertising opportunities, then Real Geeks or Zillow are probably better choices. The advantage of Broker Pro from Placester is the ability to manage and distribute leads to up to 10 agents for $199/month (with a $199 setup fee). Without the high cost of BoomTown Advance or Chime Enterprise, Placester gives brokers the ability to move leads through the pipeline and track the efforts of agents. Broker Pro is right for new brokers just starting their agencies and brokers who do not need excessive reporting abilities to track small office efforts. The Broker Pro plan with an NAR discount means mid-level features equal less than $20 each for 10 agents. Placester is missing a monthly plan to allow realtors to test all of the features before committing to an annual plan. Although there is a demo to give you a good idea of what Placester does and how it works, you might want to try the 14-day, $1 trial from Easy Agent Pro if a year contract seems like too long. Most users report that Placester is an easy-to-use, affordable website builder with a very low learning curve. As Placester is now a part of the Keller-Williams and National Association of Realtors (NAR) networks, the discount makes it more cost effective. Find out more about Placester Pricing and Reviews. Learn more about Placester and the advantages of the NAR members discount by visiting their website. Register for their online demo to find out if Placester is the right choice for you. Real Geeks takes the pain out of lead generation and advertising efforts with Facebook ads and Google AdWords managed campaigns. The reasonably-priced real estate website builder starts at $169, but Google AdWords and Facebook ad management range between $300 and $500, plus ad spend. This solution is perfect for agents and brokers who want to use their website to fill the sales funnel without managing campaigns. Real Geeks monthly pricing ranges between $169 and $199 with a $500 setup fee. Each additional agent/user is $25. Using Google AdWords for lead generation means an advertising expenditure should be included in the budget. “Done-for-you” advertising for Google AdWords means a $550-per-month plus ad spend, on top of $300 to $500 for ad management. The features for Real Geeks stack up positively against other real estate website builders because of the built-in advertising platform. The purpose of the Real Geeks real estate agent website builder is to showcase properties with dedicated landing pages and generate leads through lead capture magnets. The integrated social media and AdWords ad platforms can give a cold site a warm start. The Real Geeks platform offers easy-to-create landing pages to receive traffic and lead magnets to entice visitors to leave their contact information. Real Geeks uses a quick, easy drag-and-drop method for customizing landing pages and adding content. 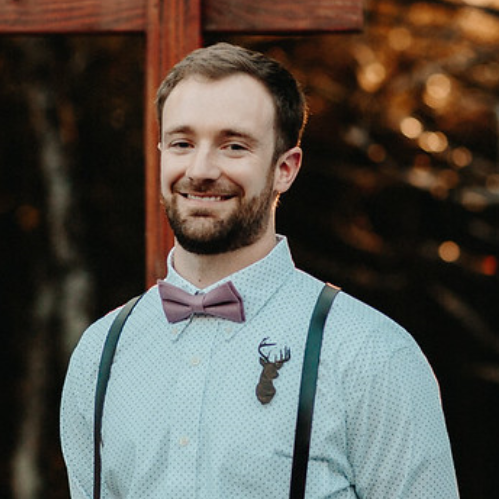 Real Geeks allows realtors to create pages to address each of their market segmentations, which turns a real estate website builder into a lead generation website. Real Geeks offers a complimentary CRM as a part of their real estate website builder, with advertising incorporated into the mix. Like all of the other best real estate websites, Real Geeks CRM has marketing automation and pipeline management necessary to really engage and track leads through the buying cycle without the higher pricing of Chime or BoomTown. The lead generation and advertising platforms are more robust in Real Geeks because of the dual approach of Google AdWords and Facebook ads to hit all of the high spots for traffic. Unlike Placester, which does not offer integrated lead generation, Real Geeks keeps pace with Zillow, Chime, and Easy Agent Pro in understanding the benefits of website advertising and filling the sales funnel all in one place. Real Geeks does a good job at organizing the multiple layers of a real estate website builder into an easy-to-use platform. Unlike Chime, Zillow, or BoomTown, Real Geeks understands the realtor who wants to build a lead generation website without spending excessive time trying to figure out the platform. If you are short on time and just want a beautiful real estate website to capture leads, then Real Geeks is a good choice. Real Geeks responds to customer service requests through email and support tickets. Some people have noted that Real Geeks support can be slow to respond, but the reality is that the learning curve is very low. If service and support are a major concern for you, then you might want to look at Chime, Zillow, or Easy Agent Pro. The Real Geeks setup fee of $500 can be hard to overcome for small to midsize realtors and agencies. Real Geeks might be a problem without a free trial to make sure that you love the features. If high setup fees without a free trial are an issue, then you might want to try Placester or Zillow. Zillow Premier Agent and Placester both offer free websites to test features. Many Real Geeks users report moving from other website builders like BoomTown to find more competitive pricing with good results. Some note that customer service is slow, but the platform is easy to learn. Find out more about Real Geeks reviews and pricing. Real Geeks is the answer for realtors or brokers who are seeking a real estate website builder to generate leads using Facebook or Google Ads. Find out more about their advertising in the no-registration demo on their website. Zillow Premier is the best real estate agent website builder for realtors who want to generate leads through Zillow or Trulia. Because these websites are the biggest real estate sites in the world, leads generated through Zillow Premier Agent are warmer than those gained in targeted Facebook ads or Google AdWords offered by Real Geeks, Chime, or BoomTown. With a free website for Zillow Premier Agents, the niche lead delivery system achieves two goals with one platform. You can build a website and create focused advertising streams to generate leads with Zillow Premier Agent. The price for Zillow Premier Agent ranges according to ZIP code and competition in your area. A lead might cost you $5 to $60, but there are upsides, including ad presentation on the largest realty sites—Zillow and Trulia—and a free IDX website with comprehensive CRM. Connect with Zillow to make sure of pricing, as it occasionally changes. Like Placester, Zillow offers a free IDX website with a robust CRM to capture leads and create opportunities for agents. Zillow Premier Agent is right for agents who want a real estate website builder to advertise to buyers and sellers. Zillow Premier Agent lead capture forms and magnets are greatly limited by the advertising module. Because Zillow Premier Agent focuses on providing a real estate website builder and CRM to use their own site to generate traffic and leads, the lead capture system is locked into pop-ups or on-page forms. You might want to examine Real Geeks or Chime if you are considering other advertising opportunities for your website. Similar to Placester and Easy Agent Pro, which do not offer advertising services, Zillow Premier Agent CRM and pipeline management are a part of the free website. If you are seeking a really robust CRM included in your real estate agent website builder, however, then you might want to try Real Geeks or Chime. Unlike general ads on Facebook and Google AdWords that interrupt buyers and sellers browsing for anything online, the agent can be sure that the leads generated through Zillow Premier Agent were captured when someone was in the mindset to buy or sell a home. For those realtors searching for a larger range of advertising opportunities, check out Real Geeks, Chime, and BoomTown. With a learning curve to move modules and navigate the platform like Chime and BoomTown, the slight heaviness of the platform is due to the advanced features and increase in modules. More features means more time to complete tasks, so it might feel complex in the beginning. Zillow Premier Agent customer support is offered via chat, email, webinars, training, and events. 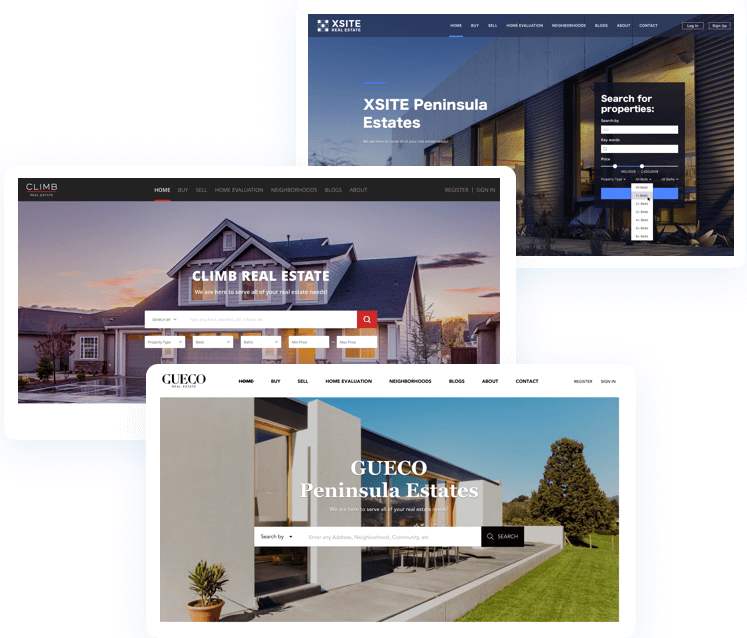 It is understood that this niche real estate website builder with advanced features for marketing and advertising might be hard to manage. Zillow Premier Agent is designed for experienced realtors who want to generate leads through their IDX website. Some of the website building modules can be hard to maneuver for beginners and there is a noticeable learning curve on most of the platform. If you are not technologically savvy and ease of use is a concern, then you might want to try Placester or Easy Agent Pro. 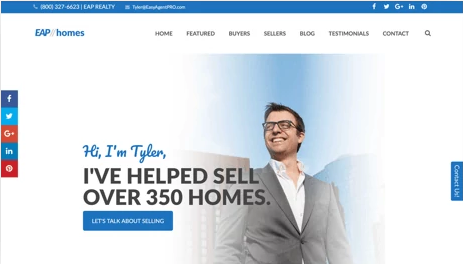 Most reviewers liked the quality of leads generated through Zillow Premier Agent and noted that it was relatively easy to use the real estate website builder. There was an overwhelming concern about the cost, however. Learn more about how Zillow Premier Agent works. 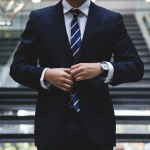 Find out more about Zillow Premier Agent through their website and chat with a representative about the costs associated each tier of services. 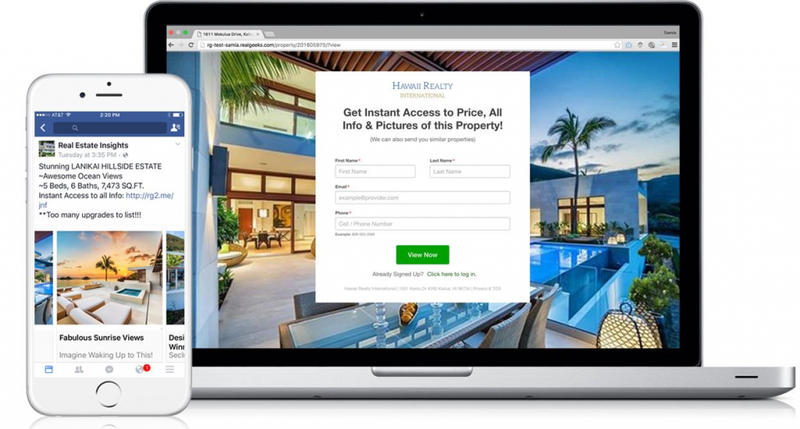 You can sign up for your free website to test their real estate website builder. Chime really is the best all-inclusive real estate website builder with advertising, automated marketing tools, and customer relationship management in a complete package at a reasonable price. Chime provides all of the features necessary to build a website, drive traffic, capture leads, and convert to sales. There is a starter plan for Chime without a real estate website builder, so upgrading to the Professional plan is a requirement for this list. Chime starts at $318 for the Professional plan with basics like an IDX website, blog, and Power Dialer for bulk calls. The Accelerator plan increases to $475 per month and adds features like an advanced CRM, marketing automation, and lead distribution. There is an Enterprise plan with multiple users helpful for brokers or agencies. The Professional plan fills in the missing pieces for the starter plan with a robust IDX website builder, including pipeline management, CRM, and sales reporting. Like Placester, a blog is not included at this level, which might be a problem for realtors who want to share information and SEO listings. The Chime Professional plan is right for medium-sized agencies and brokers because the price and features are not a good fit for small realtors. The marketing automation, team chat, and office documentation cloud storage are good features for on-the-go agents and remote teams. Chime Accelerator plan is focused on growth features like lead generation and advertising with enhanced marketing automation tools like texting and drip emails. Lead generation for Chime, like Zillow and Real Geeks, is considered an add-on feature that supplies leads to realtors with a minimum advertising budget starting at $500 with a 15 percent management fee. Chime does not guarantee a set number of leads, so you might want to check out Zillow or Real Geeks if this is a breaking point. The Chime Accelerator plan is created for agencies that want to measure results against revenue. With forecasting and reporting that is unmatched by other entries on this list, Chime reporting gives office managers and brokers the ability to see details like closed deals, revenue, and predicted sales from an easy dashboard. The basic benefit of the Enterprise plan is the enhanced customization and customer support from Chime. With broker tools for lead tracking and reporting combined with multi-agent access, Chime takes a big step up to meet the needs of larger agencies on this plan. The Enterprise plan is a solution for scattered teams or real estate offices with teams in different cities. Like BoomTown and Placester, the Enterprise plan of Chime is designed to help bring all agents into one system with multi-agent and broker tools for transactions and reporting. With 24/7 phone support, Chime Enterprise is designed to help agencies as they grow. 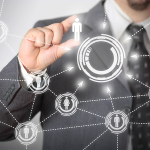 Some of the reporting and transaction modules add price and complexity. Chime is missing a lighter plan at a lower price without the excessive learning curve. Easy Agent Pro, Placester, and Real Geeks are all real estate website builders without extra transaction and reporting modules. Most users were very happy with Chime due to robust features, IDX website, and CRM services. Some reviewers noted that the extra features added modules that could increase the learning curve and that customer service did not answer questions quickly or clearly. Learn more about Chime reviews and pricing. Find out more about all of the advanced, all-in-one features of the Chime platform on their website. The Chime demo will walk you through all of their features and how this real estate agent website builder can work for you. Easy Agent Pro is the best real estate builder for agents who want to incorporate social media into their marketing and lead generation efforts. For agents interested in trying social media posts and advertising to create their own thriving realty brand, Easy Agent Pro is a mid-priced real estate website builder starting at $159 and packed with tons of features. The pricing for Easy Agent Pro starts at $159 for a full suite of LeadSite Pro services, including a website and CRM for lead capture with online advertising. The increase to LeadSite Plus is $259 for enhanced social media scheduling, text codes for tracking, and testimonial collection. LeadSite Pro gives marketing-savvy realtors the ability to use a robust real estate website builder with all of the bells and whistles and add-ons you could possibly want for one network. Some of the high-level features for social media-conscious real estate agents are blogging twice a week, social media scheduling of one channel, and trackable text codes. With Facebook and Pinterest ad tracking, LeadSite Pro steps away from the competition. LeadSite Pro is perfect for the social media-savvy realtor who understands the value of tracking ads, social media engagement, and publishing content for SEO and reader benefit. Unlike other real estate agent website builders, Easy Agent Pro is designed to engage with an online audience through social media and win leads in the social space. LeadSite Plus makes good into better with social media scheduling and posting for more channels combined with “texty codes” to capture buyers right in the middle of their buying micro-moment. More than just the ability to create the lead opportunity, LeadSite Pro recognizes the value of saving money by tracking the origin of the lead and the return on investment (ROI). Easy Agent Pro LeadSite Plus is for the agent on-the-go and engaged in social media. A marketing-savvy agent will easily reap the benefits of the social scheduling and text tracking from this real estate website builder. For those not so technology- or social media-friendly, Real Geeks or Placester is probably a better choice. The features and apps in Easy Agent Pro can be overwhelming. While features and apps are designed to give users a customized experience, most agents probably would not have time to set up or use a large portion of the options. Most reviewers are extremely happy with the ease of this real estate website builder. Packed with social media scheduling features and two blogs per week, Easy Agent Pro was well received for services and customer support. Learn more about Easy Agent Pro reviews and pricing. Find out more about the features of Easy Agent Pro on their website. Use their 14-day trial (for only a $1) to find out if Easy Agent Pro is right for you. BoomTown is the real estate website builder for larger agencies and growing brokerages because the features and pricing are geared toward multiple agents. Brokers who are prepared to spend extra money for website solutions will understand the $750 starting price. The Launch package might seem steep—paired with a $750 onboarding fee—but the ability to distribute those costs over several agents makes it more manageable for brokers. BoomTown has three packages that start at $750 per month with a matching setup fee. The steep step up to the Grow package doubles the price and the onboarding fee to $1,500 per month for CRM features. While this might sound expensive, brokers will appreciate the multi-agent approach to pricing. BoomTown Launch is the jumping-off point for a real estate website builder with CRM and marketing automation. Because BoomTown Launch includes up to three agents in this package, lead distribution tools are added to the features at this level. In fact, lead generation tools are available at all levels of BoomTown, but, like Chime, Zillow, and Real Geeks, the price does not include advertising. BoomTown is designed for brokers and large real estate firms. Although the cost seems to point toward a company with a larger bankroll, $750 for three agents (or $250 each) is competitive among high-end real estate website builders in the marketplace. If the $750 onboarding fee is a deal breaker, then you might want to consider Placester or Chime. With third-party integration, pipeline management, and lead capture magnets to help a small teams develop into a big company, BoomTown Grow covers up to 10 agents in a remote or on-the-go office with a robust mobile app with lead tracking. BoomTown Grow is best for brokers who are at the middle of their development cycle. With a price tag and onboarding fee that doubles the Launch level pricing, BoomTown Grow might be out of the range for even larger agencies that need similar features at a lower cost. Placester Broker Pro or Chime are lower cost options. The biggest benefit of BoomTown Advance is the ability to expand out to include more than 10 agents with one real estate website builder platform. In-depth reporting data can help managers and decision-makers with performance and expenditure choices. Like Real Geeks, Chime, and Zillow Agent Pro, BoomTown monthly fees for a real estate website builder do not include lead generation. Advertising and lead generation add a monthly fee to drive traffic to the website. Advance is a great choice for an office seeking a real estate website solution for more than 10 agents. Advance from BoomTown is comparable to Chime Enterprise for features and price. Brokers will appreciate the coordination of many agents in one place and quick reporting on their sales efforts. BoomTown is missing a free trial to help users understand their investment and get comfortable with the real estate website builder before spending money. At this price point, BoomTown is clearly aimed at larger agencies and brokerages, so if price is a concern, then you might want to try the trial from Easy Pro Plus or the moderately-priced Enterprise package from Chime. Reviewers agree that BoomTown is significantly more expensive than the competition, but well worth the cost if it is within your budget. Some reviewers noted that there was a sharp learning curve due to the amount of features, but the value received in learning how to use BoomTown was excellent. Find out more about BoomTown reviews and pricing. Learn more about the robust features of BoomTown on their website. You can set up a free demo to find out if BoomTown is right for you. These six best real estate agent website builders are good choices depending on your budget, size of your realty office, and goals for your online presence. Considerations for the best real estate website builders focused on price, features, and ease-of-use. Based on these criteria, Placester checked all of the boxes for affordability, robust features, and ease of use with well-designed website templates. The CRM helps manage leads through automated marketing with drip emails and follow-up campaigns to nurture contacts through the sale without breaking your budget. I’ve had a Placester website since 2014 before their partnership with NAR and I used to sing their praises. They used to have great customer service, now it would be hard for it to be any more disheartening. They have bugs in their site and it might take days or months to correct the issues and will bill your credit card for services not received. They will also change your account status with no notice or communication. They obviously don’t care about smaller accounts. As individual account, I can only recommend them as an online business card. The best I can say about my site is it has been frustrating and unreliable. Thanks for your review of Placester. Since their NAR sites are free, I would assume they are trying to maybe not so subtly hint that you might want to upgrade… Theoretically at least. You might also want to try your hand at building an IDX site with WordPress. The learning curve is a little but steep, but you end up owning the site free and clear. We used Placester for our company site, and it was the pits. It looked great, but Placester’s service that was supposed to drive traffic to the site did not work at all. On the search bar on the front page it says “for rent” or “for sale.” We asked that the “for rent” button go away, but they would not do it. Because of that button, we only got rental leads, which we did not want. I realize this is an old reply, but wanted to put this out there for anyone that reads this in the future. The “For Rent” tab is very easy to remove in your global site settings. I have several agents using Placester and that was the first thing I removed. This is true for both the free site as well as the premium sites. I can only guess that maybe they told you they wouldn’t do it because you can do it on your own, or you talked to a very green support tech. Driving traffic to a brand new domain is not easy. It takes lots of hard work, and most importantly time. Even to rank for non competitive keywords can take up to a year or more assuming you’re regularly publishing content and working on your blog. There is no easy solution unless you drive traffic with paid social ads. That can work, but will cost money. does anyone have any experience with kvCore? I’m comparing it to RealGeeks. I’ve been wanting to review kvCore for quite a while now, but we have a soft policy here of not reviewing products that don’t have straightforward pricing that we can publish. I have heard great things about the program in general, but we’re reluctant to review software that we can’t tell our readers how much it costs. If you do end up doing a demo with them, let me know how it goes, and maybe encourage them to publish their damn pricing already so we can review them. I had realgeeks for a couple of years. Spent a lot of money and got absolutely no good leads. Checked the google analytics and no one stayed on the site. I was in top 15 at my brokerage of over 300 in 2016, (2017 numbers aren’t in yet) so I am pretty confident it was the site and not me. I think it is a waste of money. Websitebox.com is a good solution if you just want something visible and know the leads aren’t going to come from the $200 a month realgeeks charges or the onetime $90 charge websitebox charges. You must not of had the lead capture enabled or your traffic didn’t have the intent to search properties. Real Geeks sites have some of the highest conversion and return rates in the industry. We have many clients that are getting great results. You also have to follow up with the leads to actually make sales. Check out our review page. Coming on board with Real Geeks has been the biggest growth step of my real estate practice. When I moved my website over from a competitor’s platform, I was a solo agent spinning my wheels trying to generate online traffic and leads. Since going with RG I have built a team consisting of two other buyer agents and currently onboarding a third with no signs of slowing down. The leads brought in via my Real Geeks site keeps their pipeline full! Bounce Rate: 71.07% to 23.15% = Decrease of 47.92% ! As you can see Real Geeks outperformed in all aspects and went well over my expectations. I was not only able to get potential leads and clients back to the site due to its user friendly structure and “stickiness” but also able to get more traffic to the site all while doing the same things as before with the other competitor. As a result our leads shot up from 40 per month to over 200 per month consistently with contact information (including phone numbers), all with no additional cost! The money invested in Real Geeks has been the strongest return on investment I have seen in my real estate practice, at a ROI of easily over 50 to 1. On dollars spent, it is a no brainer. The platform is the best in the industry for generating traffic, getting them returning to the site, and providing contact information to convert from a site visitor searching for homes to a registered lead to a closed client. Everyone on our team is on pace for their best year yet. As a team lead, the backend of Real Geeks allows for everything I need to manage both leads and agents with ease, all in one place. The platform is always evolving and adding new features, which keeps us moving ahead of the curve. This platform has allowed me to streamline my business while building a profitable team. If you’re looking to grow your business online there is clearly no better option. Hey Elizabeth. Just out of curiosity are you still using the same URL? How are you driving traffic to the site now? Do you have any feedback for using Superlative as a website builder and their packages, including pricing?